The Carefree Black Girl Cookout was held Saturday at Philadelphia Urban Creators in North Philadelphia. Shaqunna “Quanna” Bolden, founder of Carefree Black Girl LLC, provides a lifestyle brand that focuses on women empowerment, entrepreneurship and the arts. The mission of the organization is to host free events for the public and bring Black women together to highlight them and find solutions to rebuilding communities. The girl power group traveled to New York and Atlanta before stopping in Philadelphia. “What we do is provide spaces for women of color to fellowship and display their businesses, talent and arts,” said Bolden. Shaqunna “Quanna” Bolden, Founder of Carefree Black Girl LLC provides a lifestyle brand that focuses on women empowerment, entrepreneurship and the arts. Carefree Black Girl recently made the trip to Philadelphia to join in with other locals to host their Carefree BlackGirl Cookout Saturday, July 21 at the Philadelphia Urban Creators in North Philadelphia. Philadelphia Tribune Digital Reporter Eric Moody has details. In March, women are celebrated all month long to highlight their contributions to history and society. 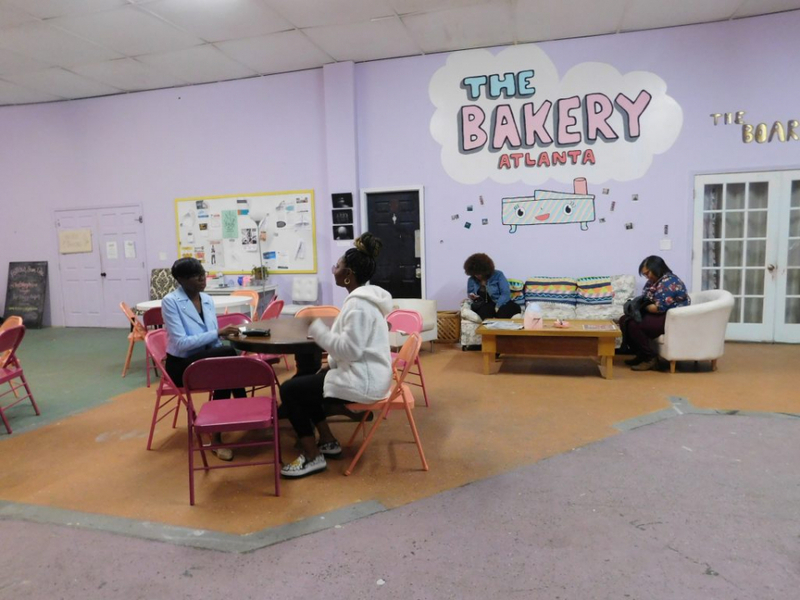 On March 10, the #CareFreeBlackGirl movement presented a celebration of Women’s History Month with music, art, and poetry at The Bakery in Atlanta. Women from all walks of life celebrated the movement to enjoy a night about women and gain inspiration. "Thursday’s surprise standout came in the form of The Carefree Black Girl Stage on the rooftop of the Delightful Eatz restaurant. The host, Quanna, a rising rapper, wanted to take the popular hashtag #carefreeblackgirl from the internet to live events. The party started off as a chill vibe with bubbles, raffles and hair care product giveaways, to a full-on artist showcase. Vocalists CHLO and Kiya Lacey, showed promise. Rappers Amazin and Brax gave crowd bouncing, confident performances." 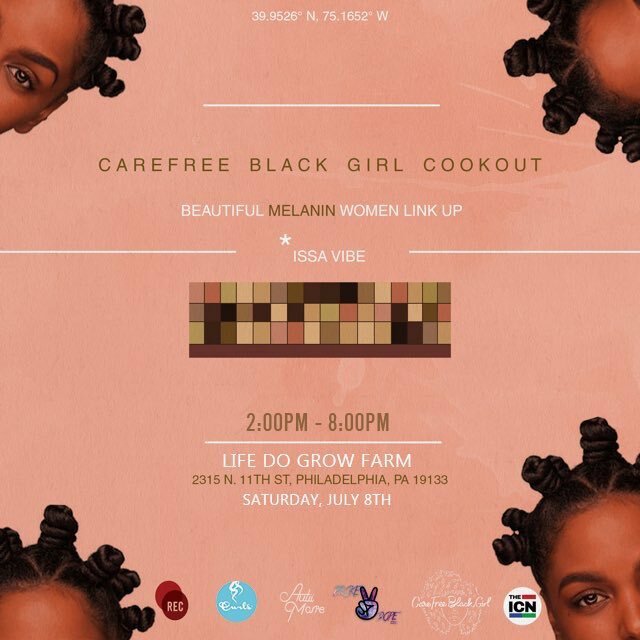 The #carefreeblackgirl Cookout was created to invite women to fellowship in a safe space while enjoy food and interactive games . The purpose of this event is to build stronger communication among like minds in hopes of moving into a new era. Formerly "#carefreeblackgirlpicnic" the bbq is open to men and women. Read more at Her Philly MOVES and Broke 2 Dope. Read more at TripleHQ, DopeCauseWeSaid, or Fish n Grits Magazine.